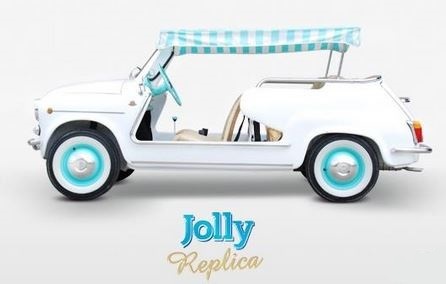 This amazing and rare FIAT 600 JOLLY GHIA Replica is made only on request like the original Ghia Jolly of 50 years ago. Now, an original GHIA Jolly is valued at over 100.000 euro but the new Replica can be produced on the same base of the original FIAT 600. Any colour can be choosen and also some details of the car. It takes 3 months to be built, all hand made, by a team of 3 craftmen in Italy. It can be also built in full electric version with lithium battery pack. Please ask me for more informations and prices. I can export Worldwide thanks to the best international shippers.